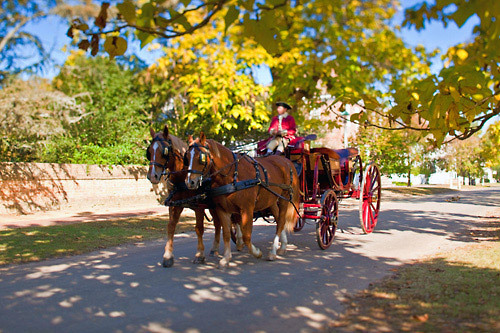 With a variety of one-of-a-kind attractions themed around 18th-century living, Colonial Williamsburg features unique wartime experiences, historic taverns, theatrical experiences and one-on-one interactions with colonial-dressed townspeople. 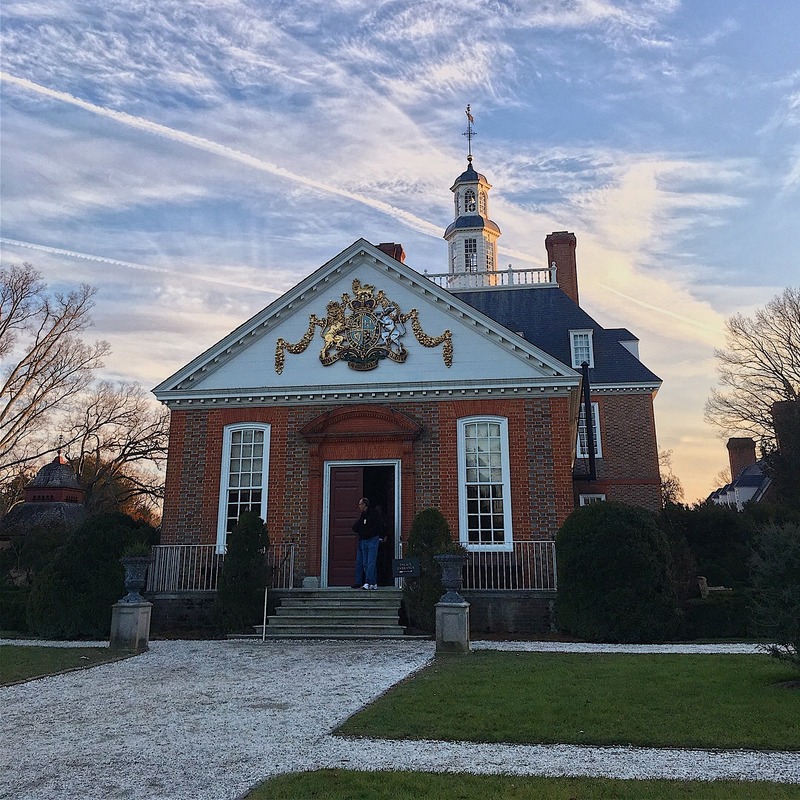 This “Revolutionary City” also features contemporary attractions like art museums, a superior golf club, an award-winning spa, deluxe hotels, and more. 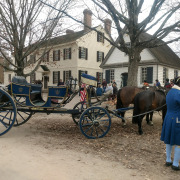 Experience life as it was in our nation's yesterdays. 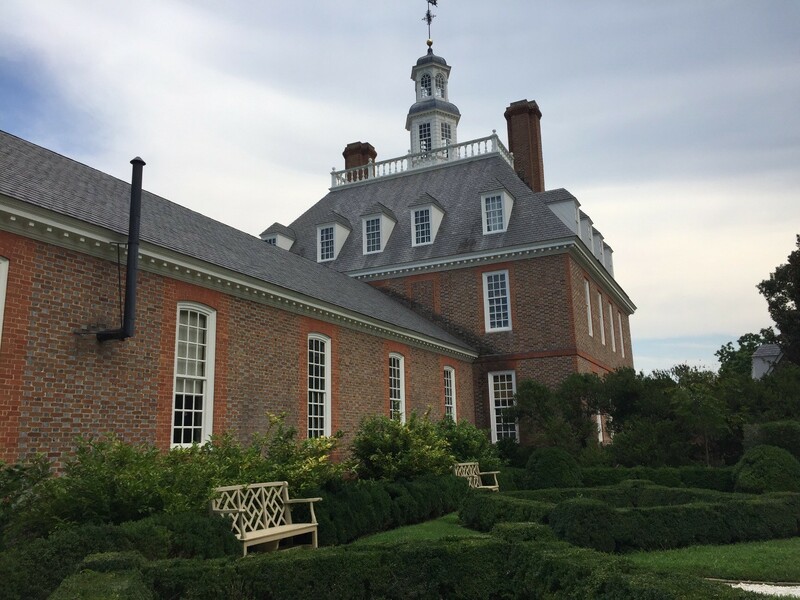 Explore the homes and buildings where men like Thomas Jefferson, George Washington, and Patrick Henry inspired the fight for independence. 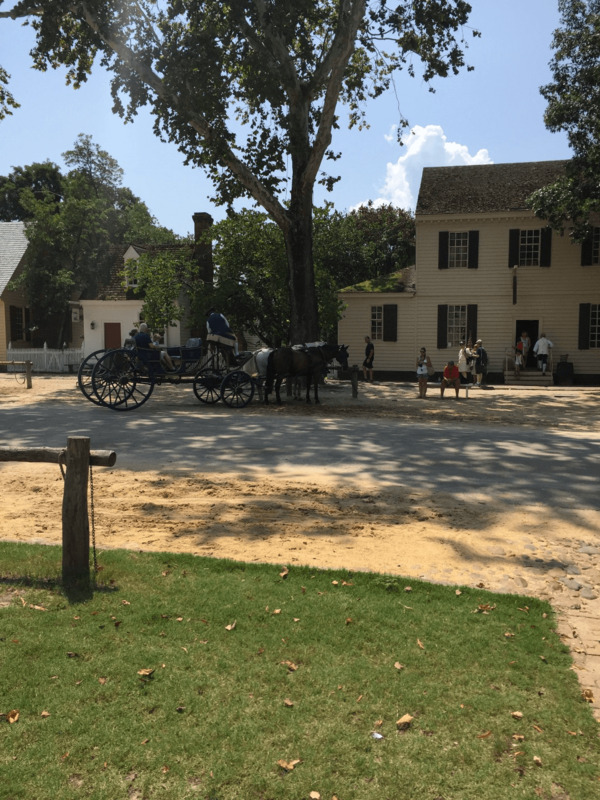 Scores of original buildings, hundreds of homes, shops, and public buildings are reconstructed over 301 acres - most on their original foundations. 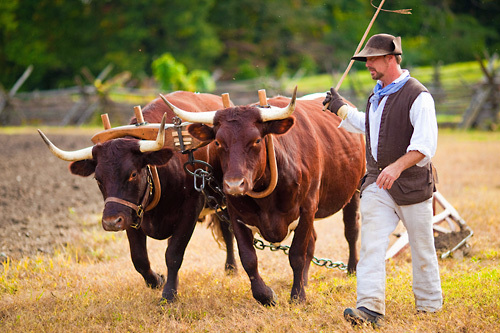 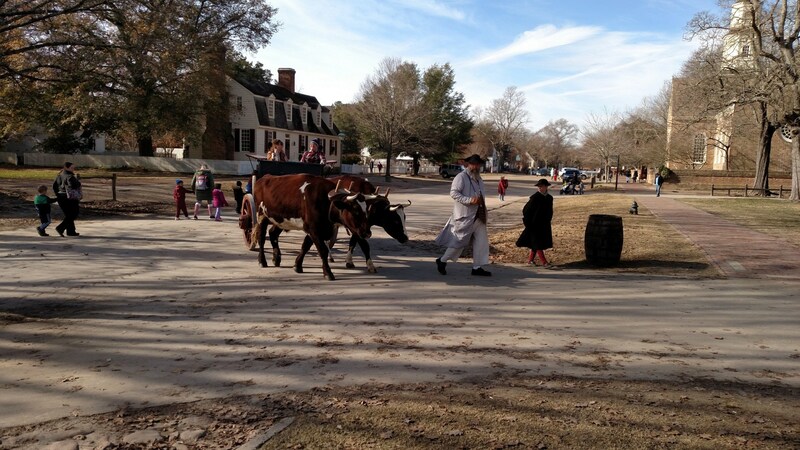 Rare animal breeds, trades, and gardens add layers of authenticity to the recreated town. 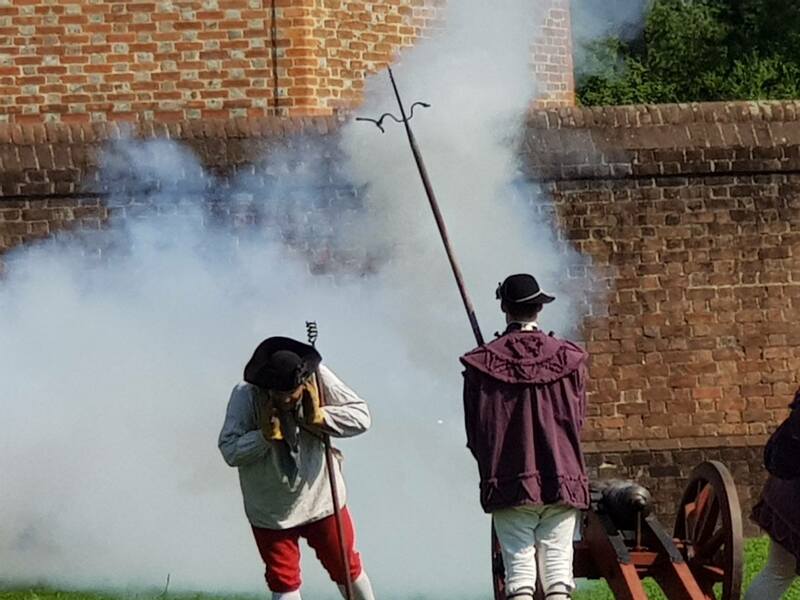 Find yourself fully in the nation's yesterdays as you dance with an 18th-century instructor, walk with curators and gardeners, take part in a witch trial, or march with the Fifes and Drums. 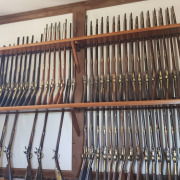 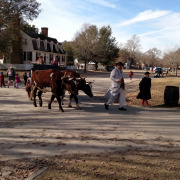 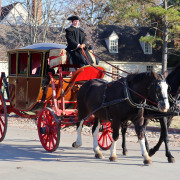 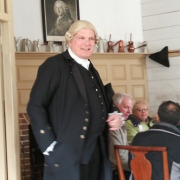 Find these programs and many more offered daily in Colonial Williamsburg's Revolutionary City. 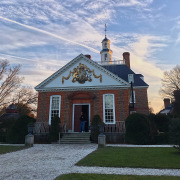 The distinctive collections of the DeWitt Wallace Decorative Arts Museum and the Abby Aldrich Rockefeller Folk Art Museum are now under one roof. 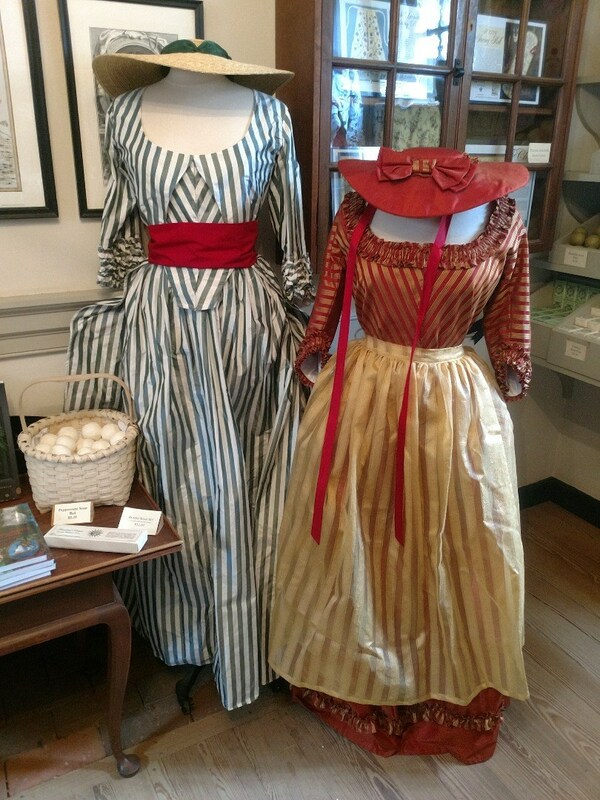 Linger over singular examples of American and British antiques from the 17th, 18th, and 19th centuries, then explore bold and imaginative pieces of colonial and contemporary folk art. 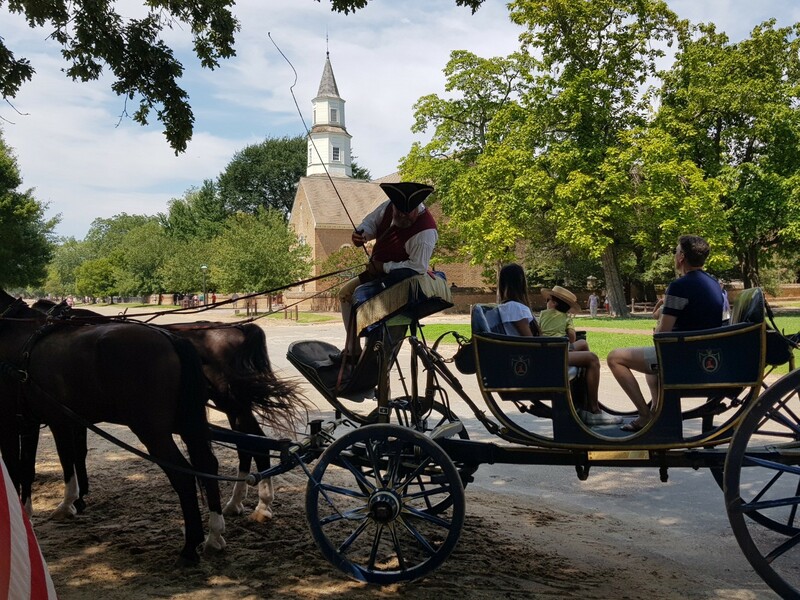 The Revolutionary City of Colonial Williamsburg stretches over 301 acres and includes 88 original 18th-century structures. 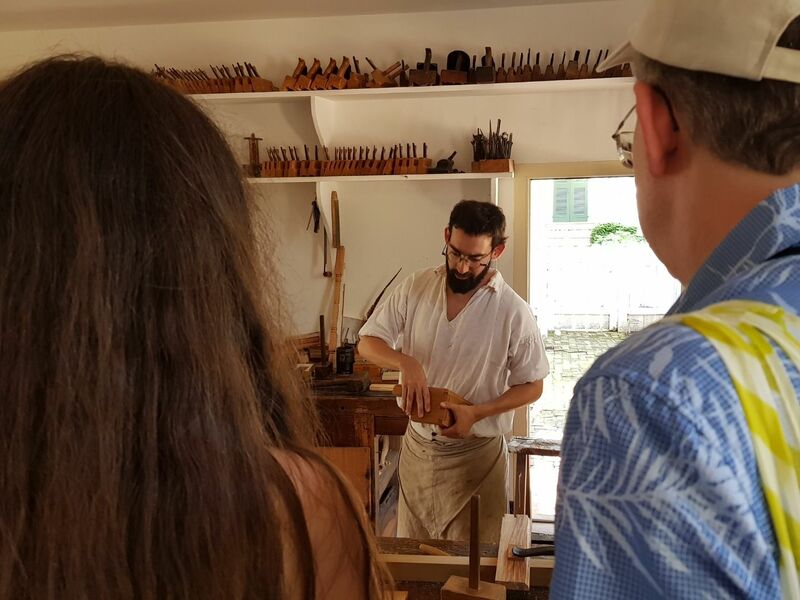 Hundreds of houses, shops and public outbuildings are reconstructed on their original foundations. 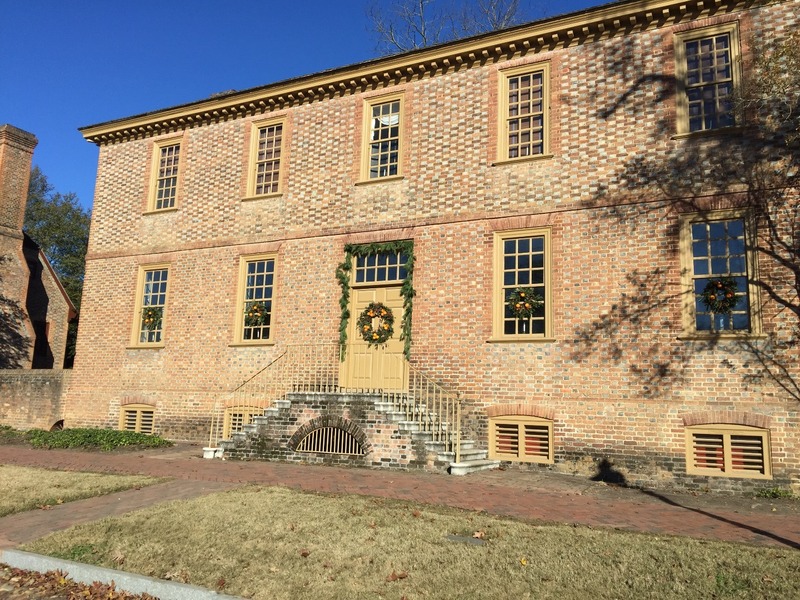 Some buildings are open to the public, while others are private residences and administrative offices. 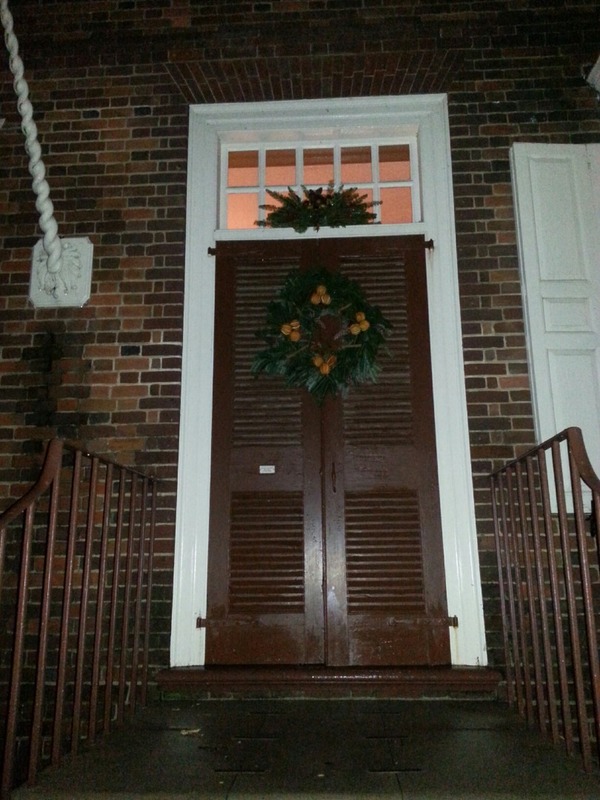 A flag at a building's entrance indicates that the site is open. 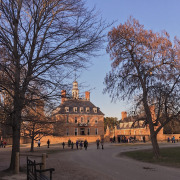 When the sun sets, Colonial Williamsburg's live entertainment continues. 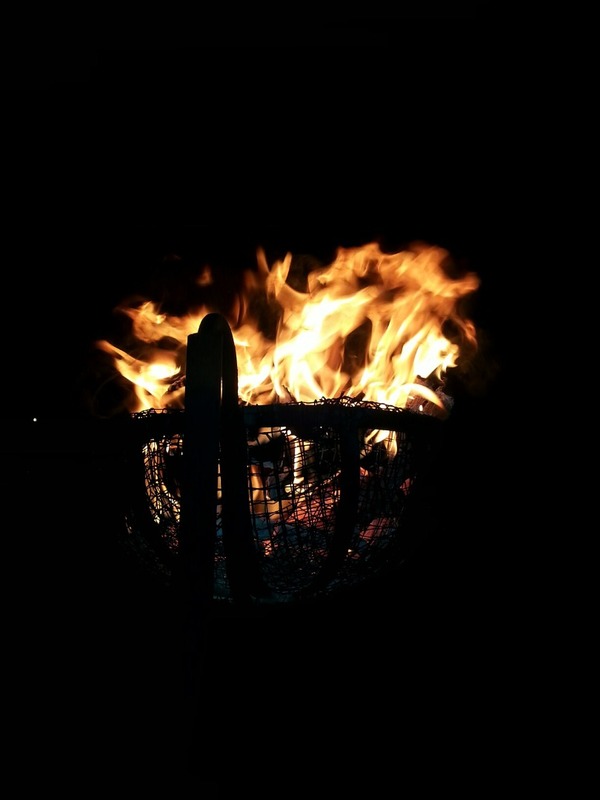 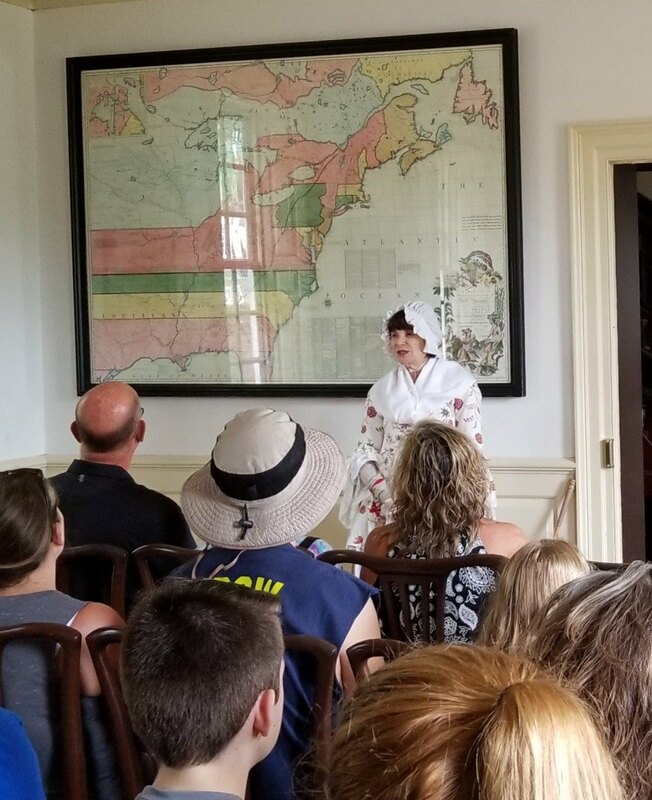 Whether you are interested in taking a walking ghost tour or watching an 18th Century play, you are sure to find a program that will entertain and inspire you. 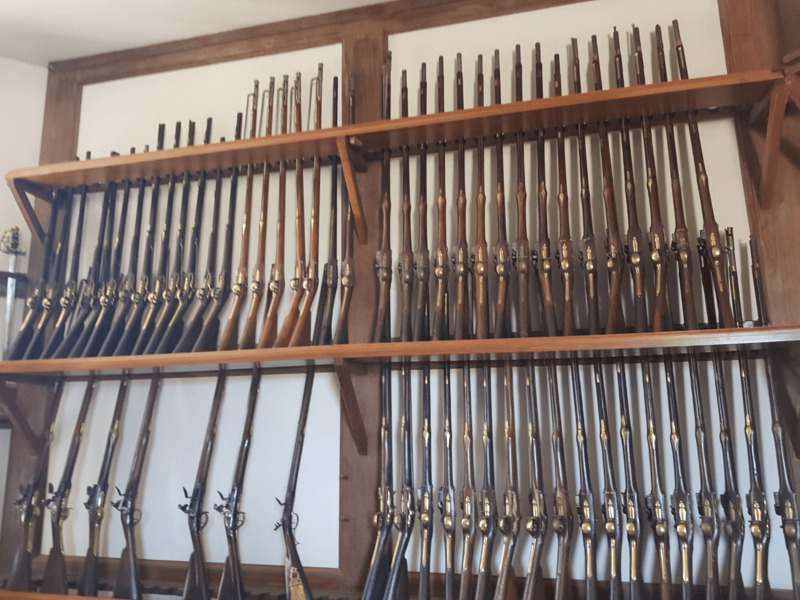 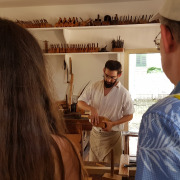 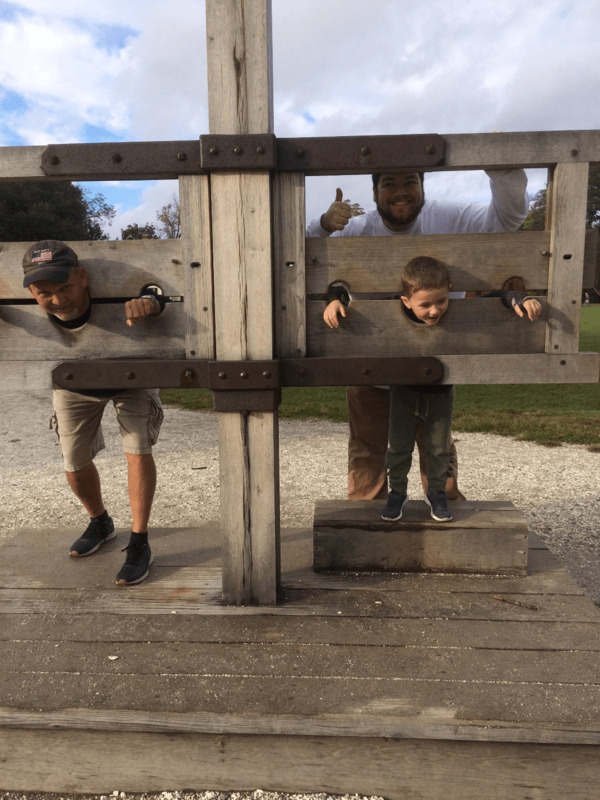 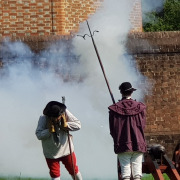 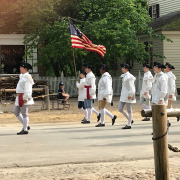 The largest living history museum in the United States, Colonial Williamsburg is a private not-for-profit foundation that operates the restored 18th-century capital of colonial Virginia and the adjacent all-encompassing resort. 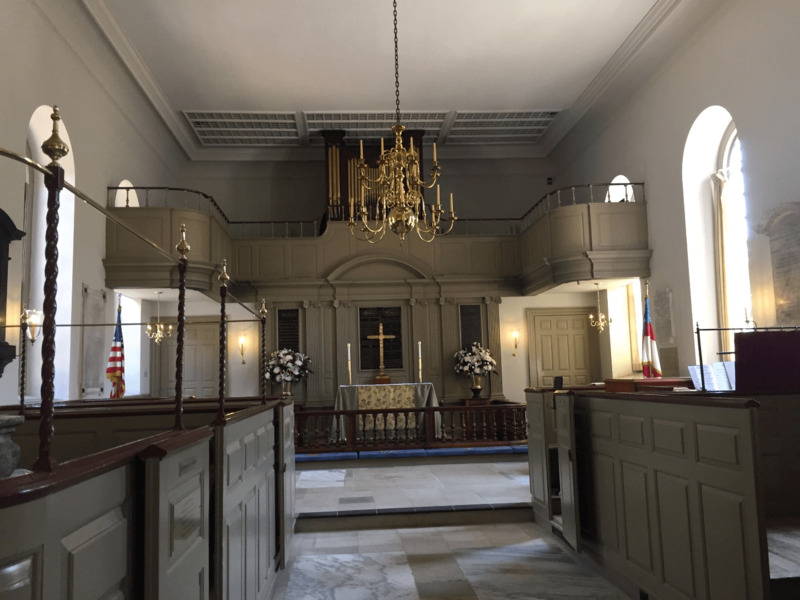 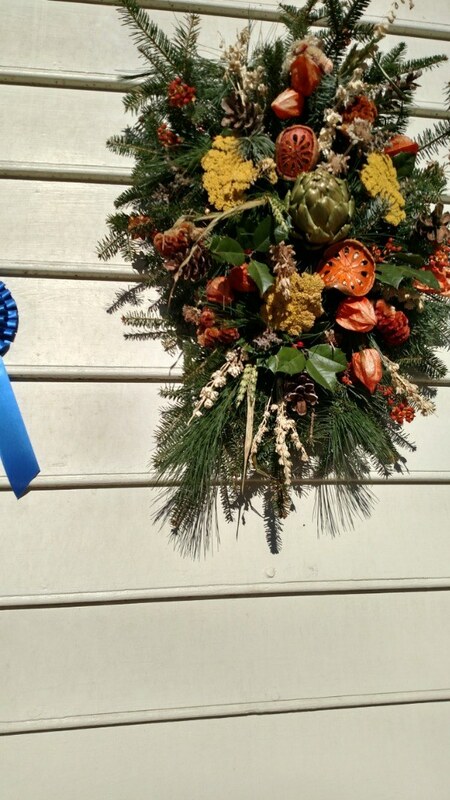 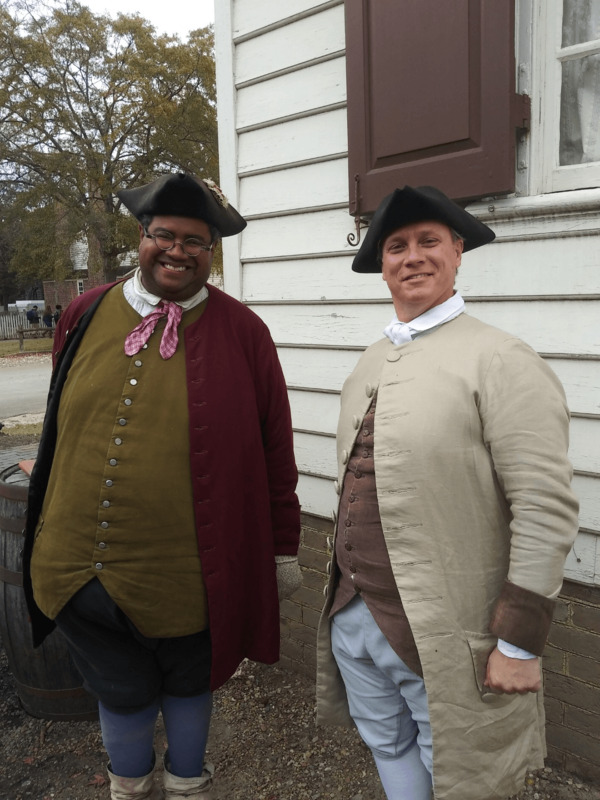 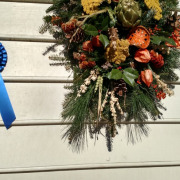 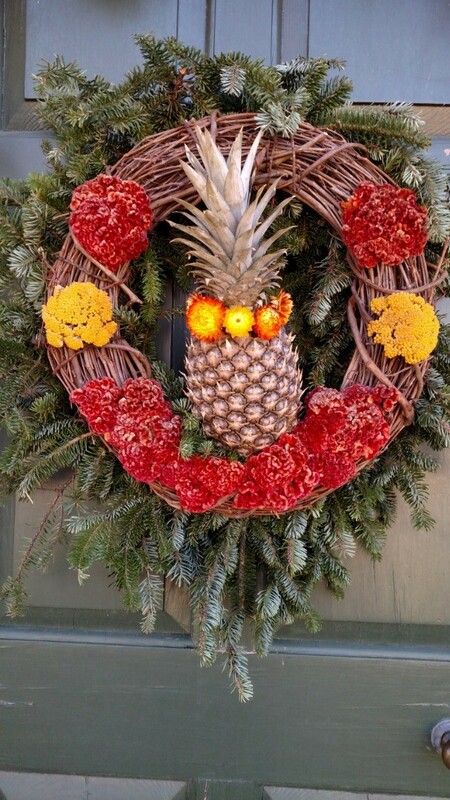 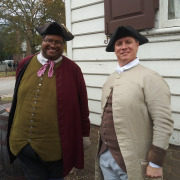 What should I make plans to see at Colonial Williamsburg? 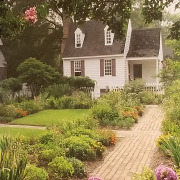 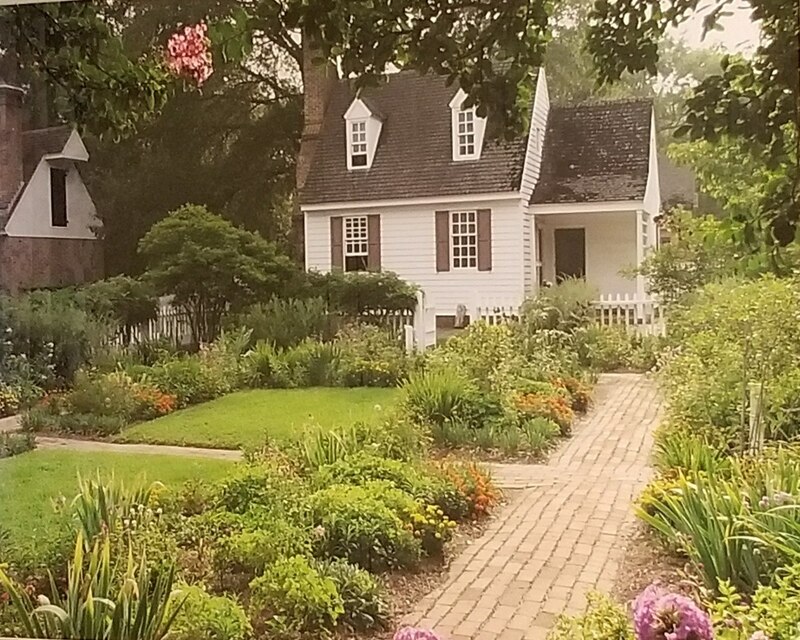 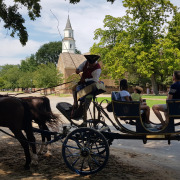 When you arrive, start your visit at the Colonial Williamsburg Regional Visitor Center to pick up a free copy of “Colonial Williamsburg This Week.” This weekly program guide will show you which buildings are open and which programs offered during your visit along with a map and helpful tips. 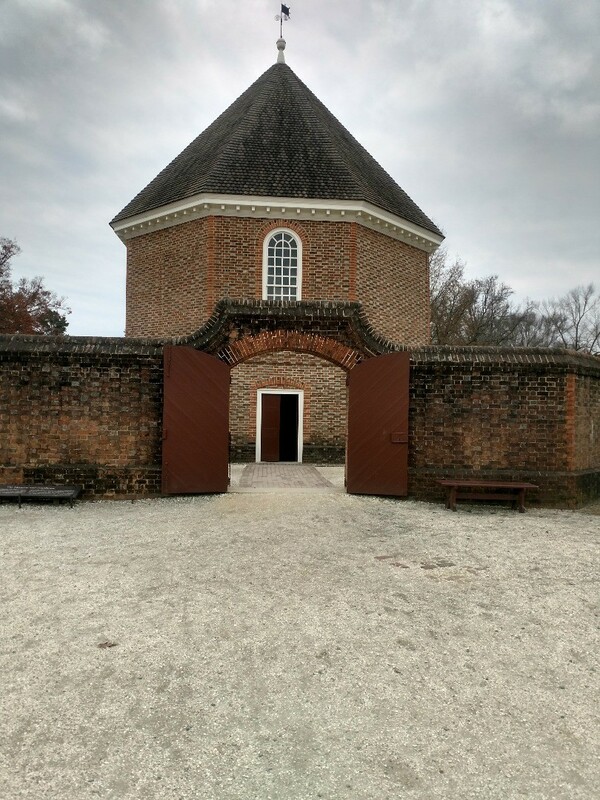 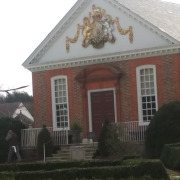 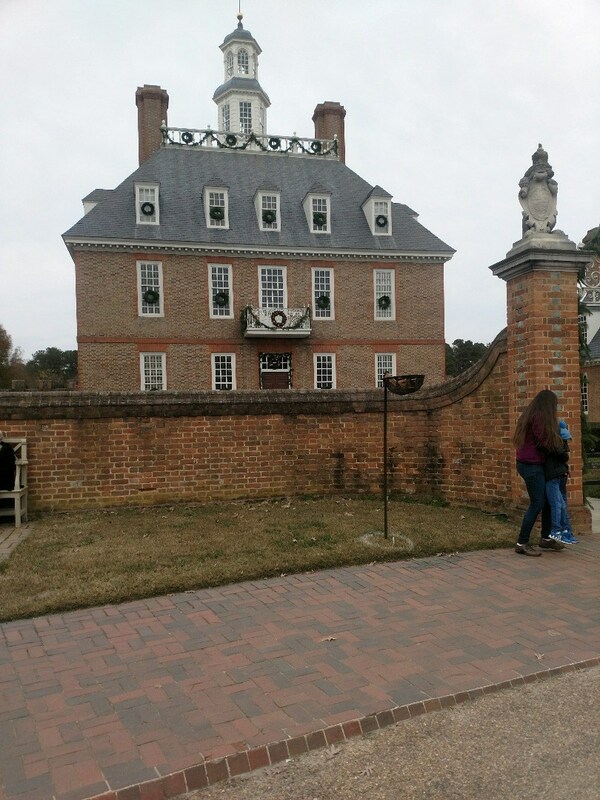 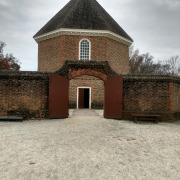 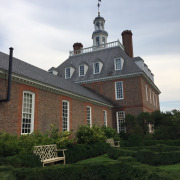 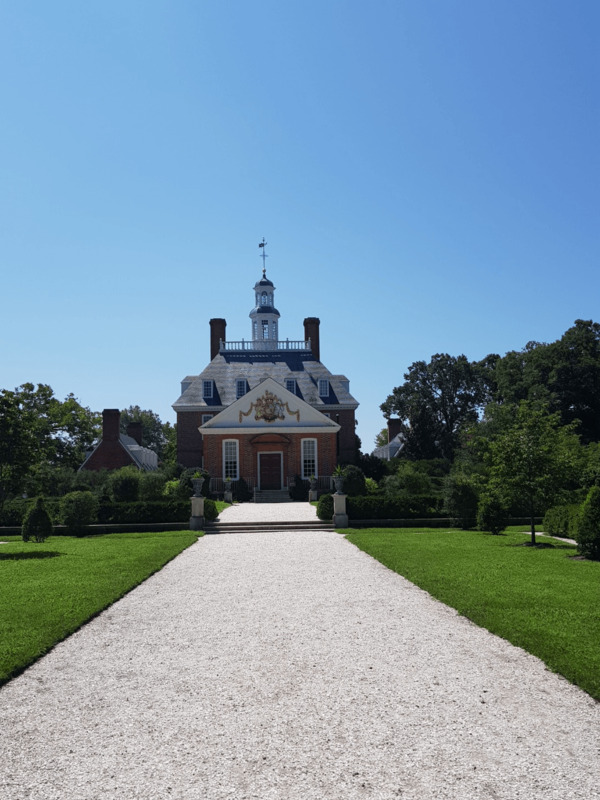 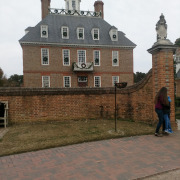 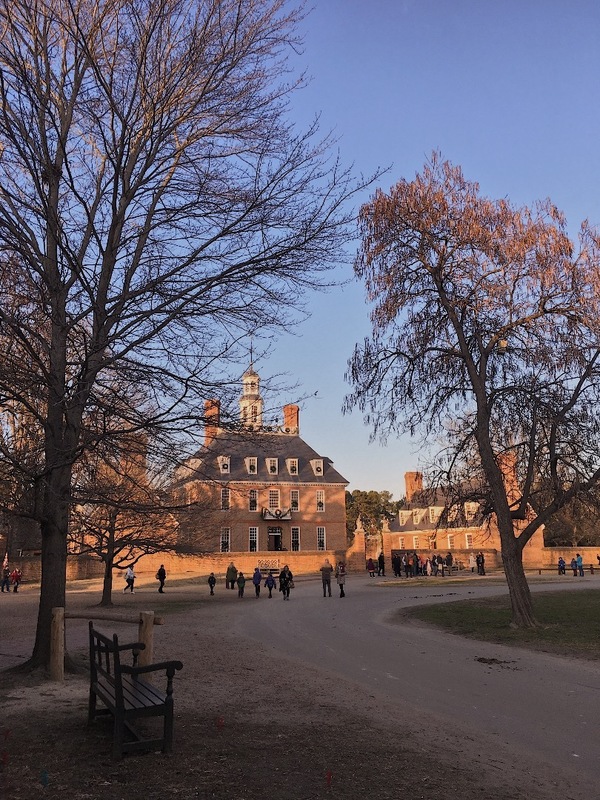 Which buildings of Colonial Williamsburg can I enter? 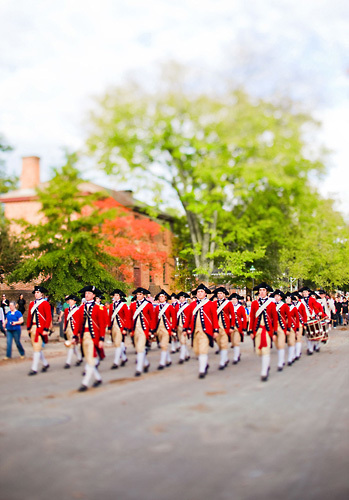 Colonial Williamsburg offers its guests a variety of opportunities to relive the Revolutionary War period. 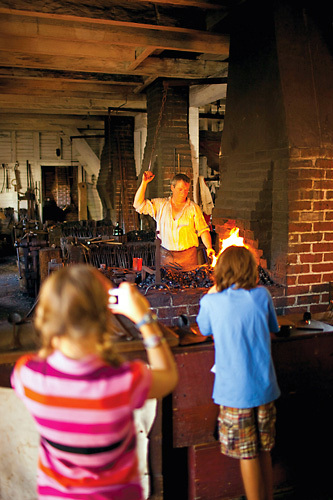 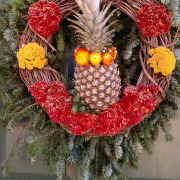 Depending on your interests or focus, visits vary in length and activities. 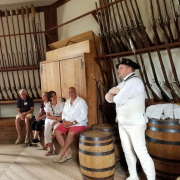 Guests can get a small sample of the Revolutionary City in about half a day, but plan to stay at least two or three days to enjoy the full experience. 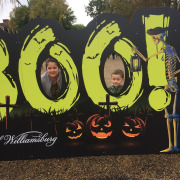 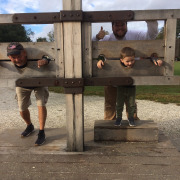 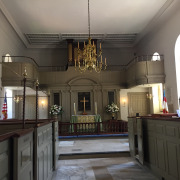 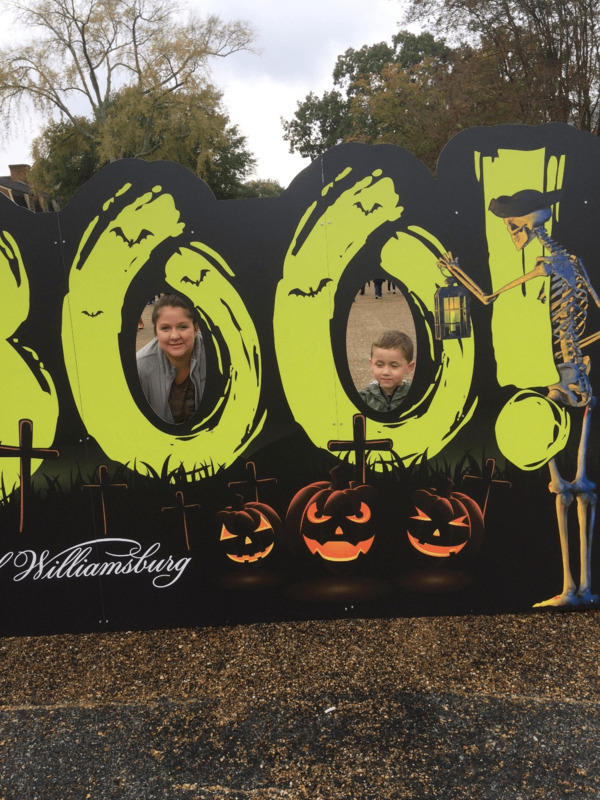 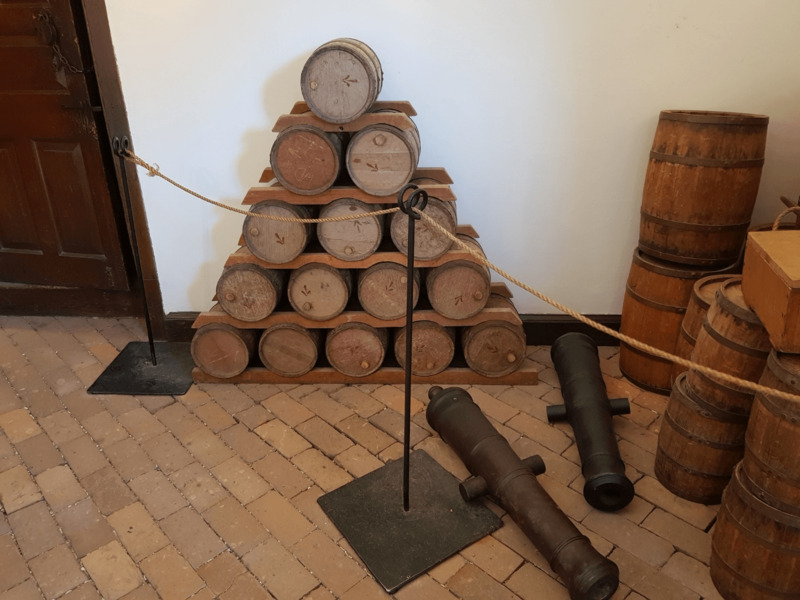 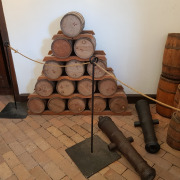 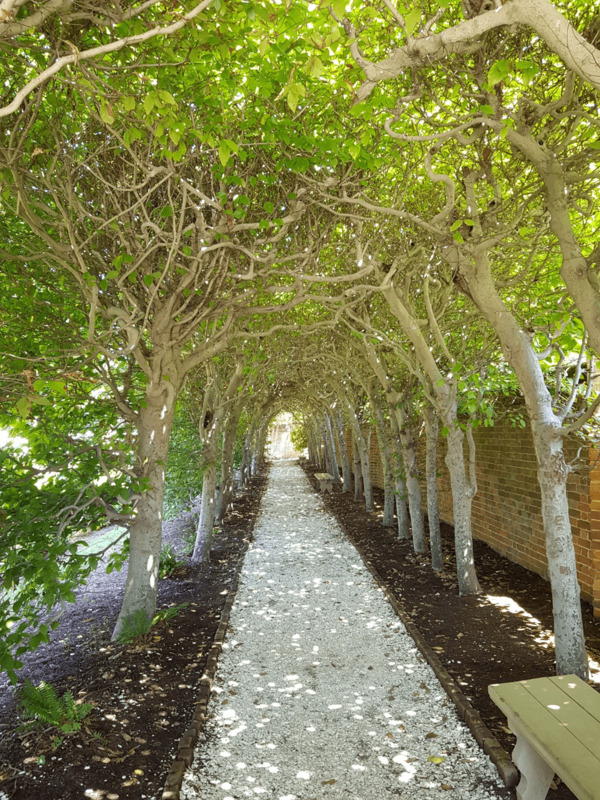 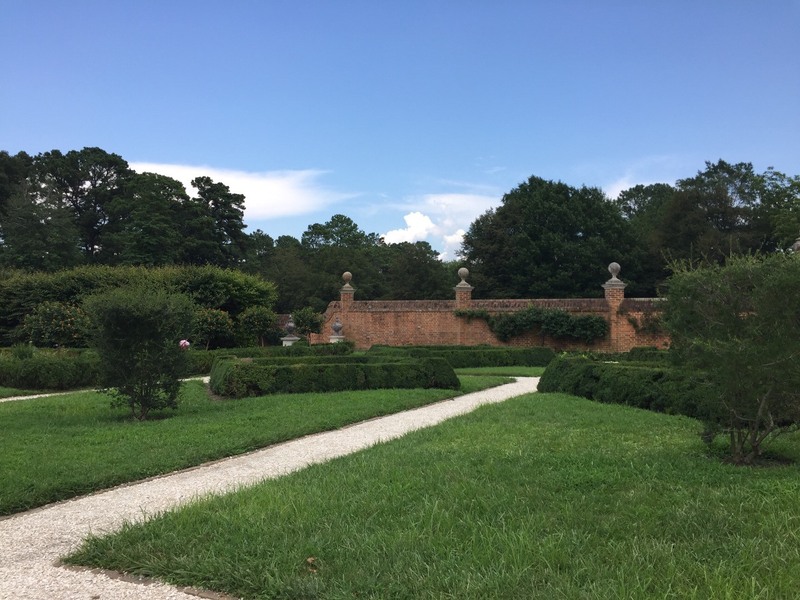 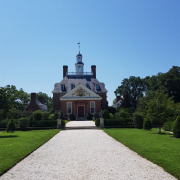 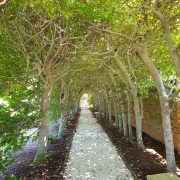 Colonial Williamsburg is filled with exciting historic sites, informative programs that are constantly changing and expanding, and family-friendly fun. 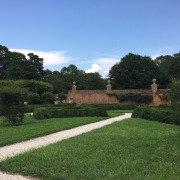 Some outdoor programs are presented only when weather permits. 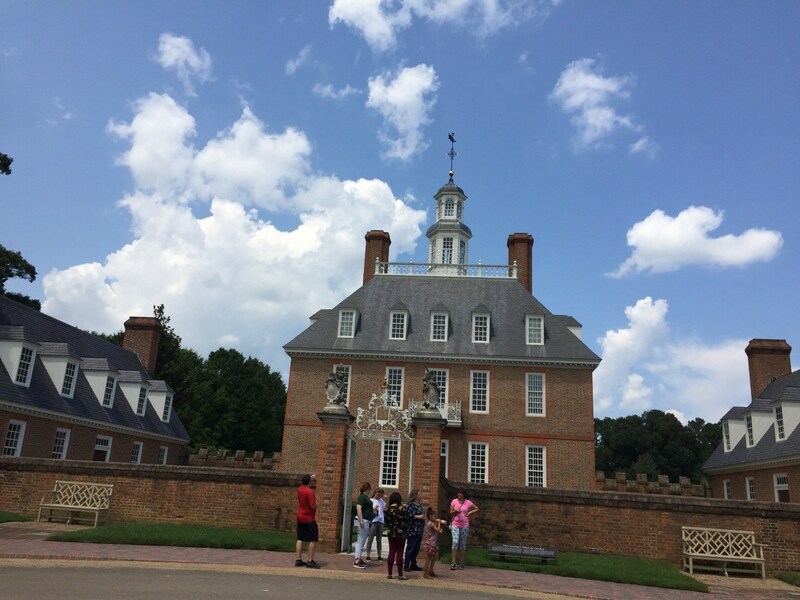 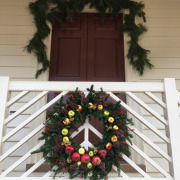 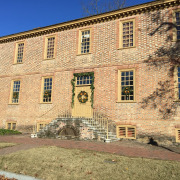 Building tours continue during inclement weather, and the Art Museums of Colonial Williamsburg are open daily. 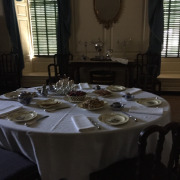 What can we do in the evening? 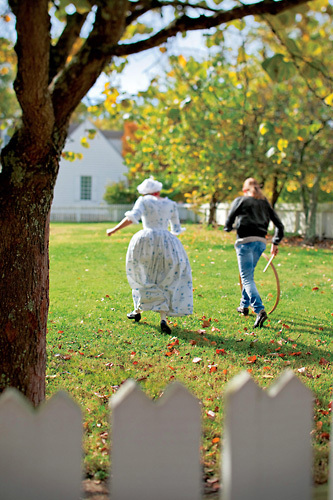 Evening programs include tours, plays, dances, concerts, and reenactments. 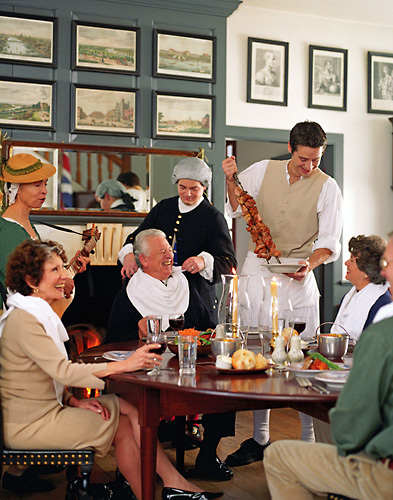 Evening meals in colonial taverns are complete with strolling musicians and 18th-century fare. 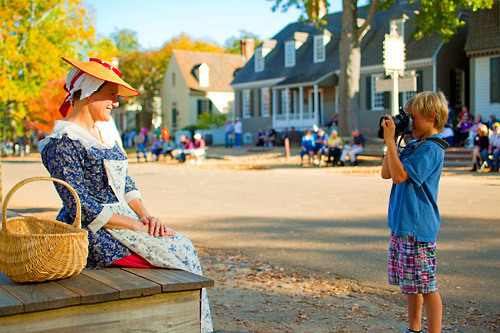 From romantic to kid-friendly, there’s something to do every night of your stay. 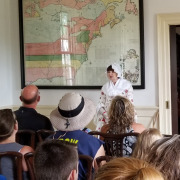 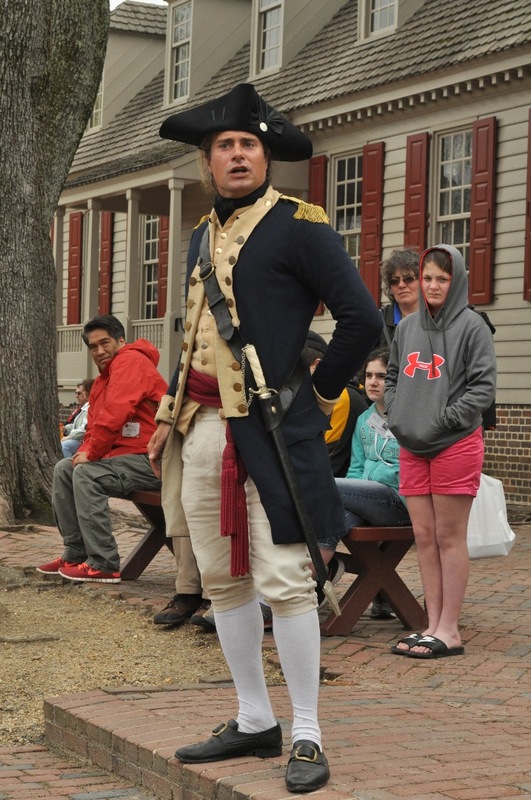 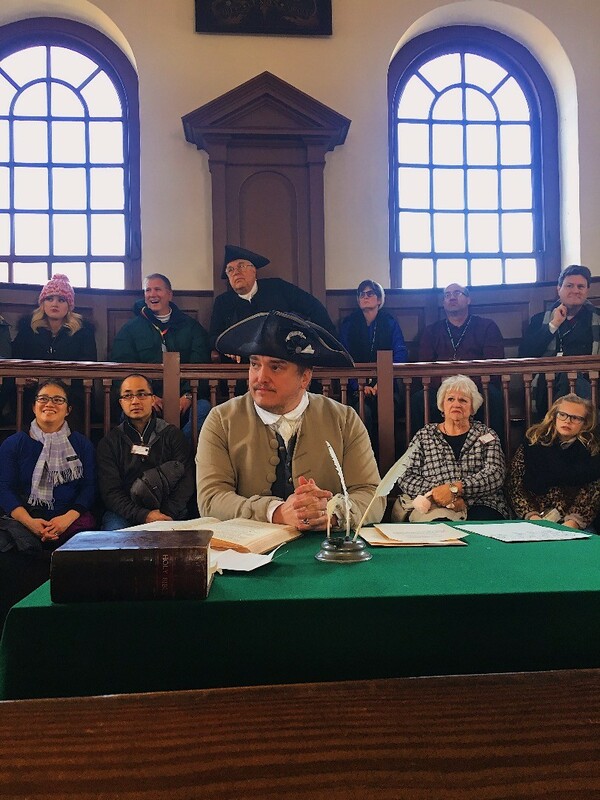 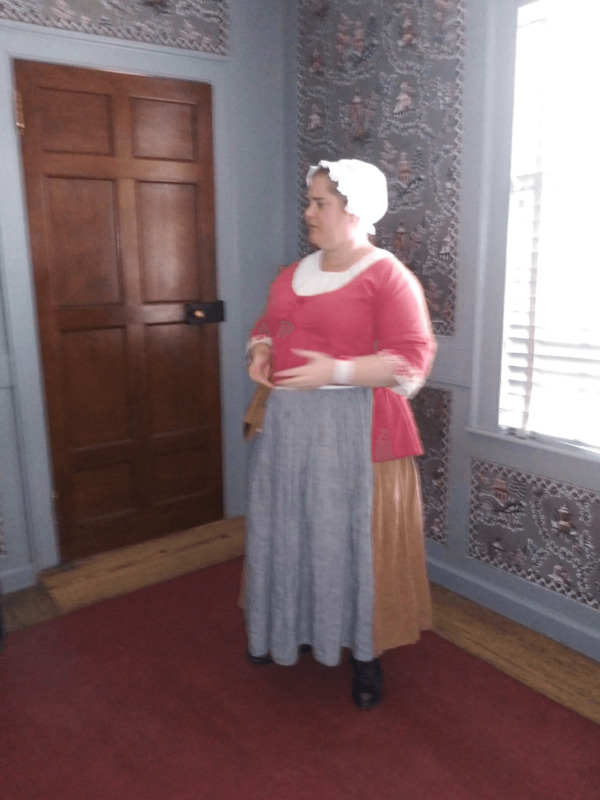 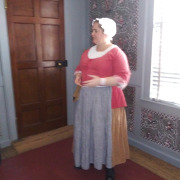 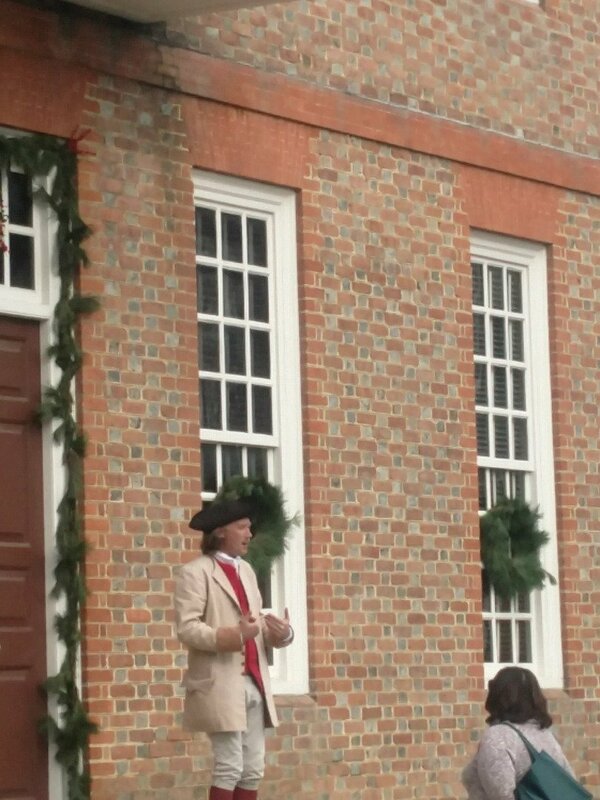 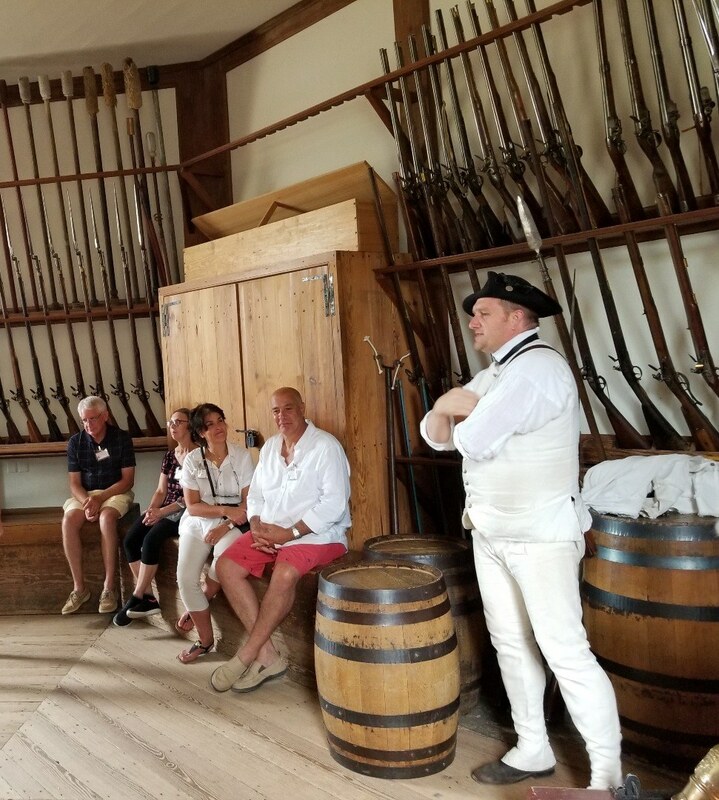 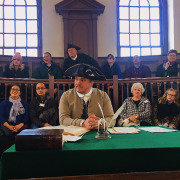 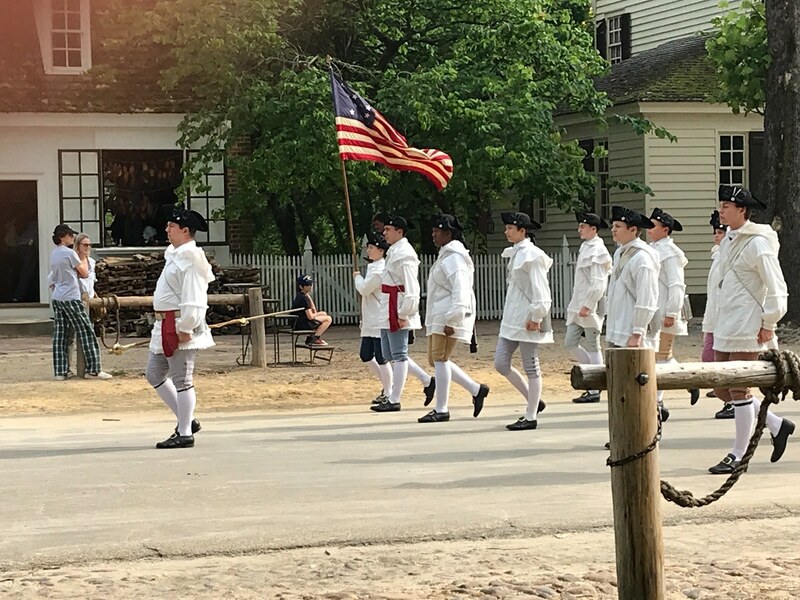 All costumed interpreters will be acting as residents of the Revolutionary City and will portray the period leading up to or during the Revolutionary War. 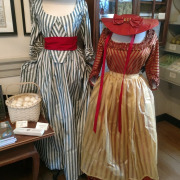 Many guests enjoy dressing in 18th-century costume, and you may encounter them during your stay. 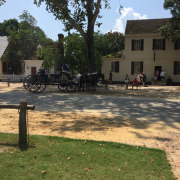 Where can I park? 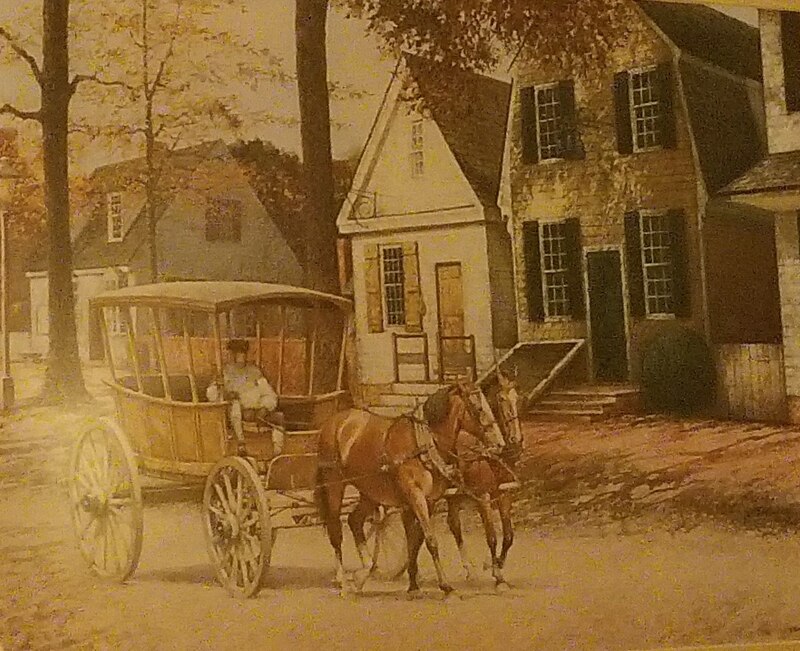 Is there a bus system? 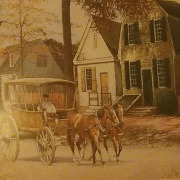 Automobiles are not permitted in the Revolutionary City, but shuttle-bus service is provided. 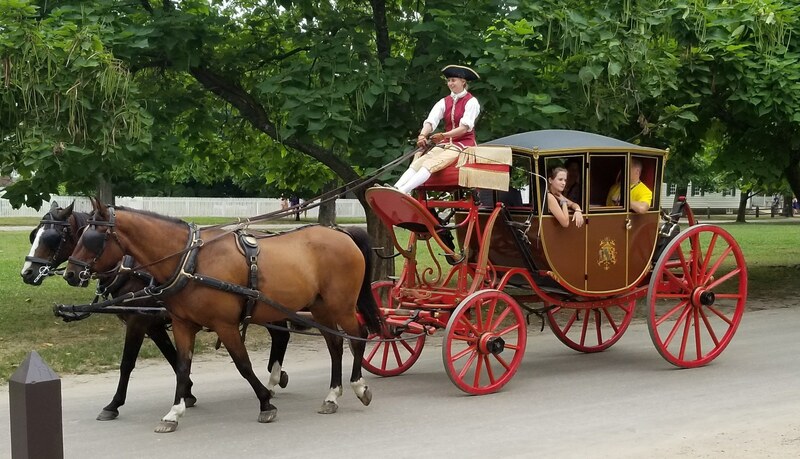 Shuttles travel between the Visitor Center and the Revolutionary City and circle the town from 9 a.m. to 10 p.m. 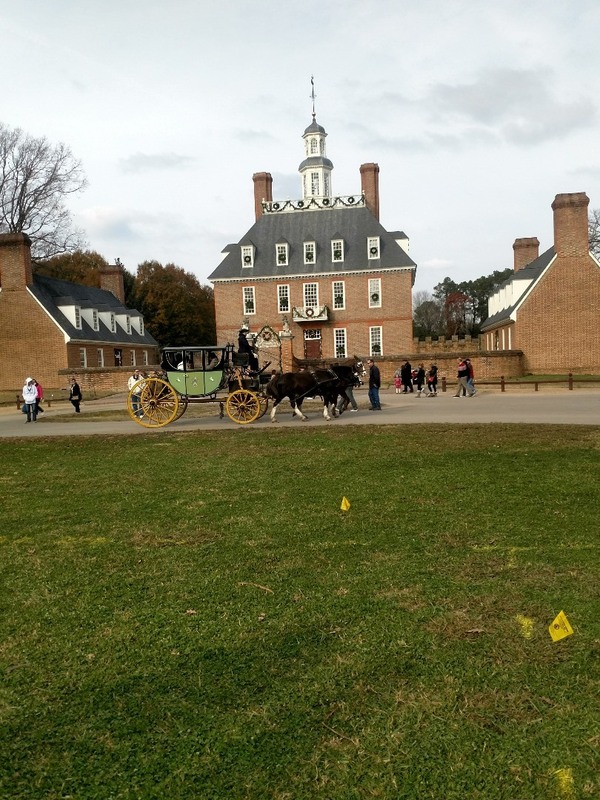 Designated stops are indicated on the map in your “This Week” available at the Visitor Center. 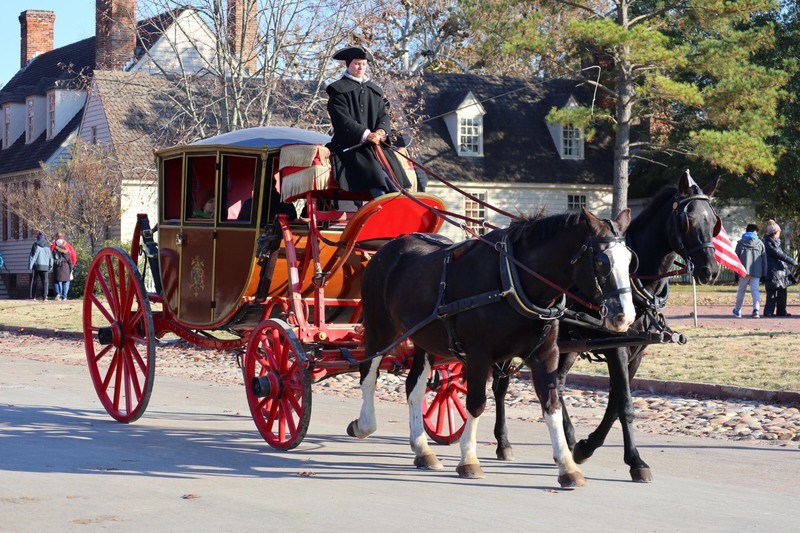 Shuttles with wheelchair lifts are available. 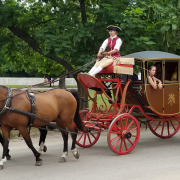 Shuttle service is free to all ticket and pass holders. 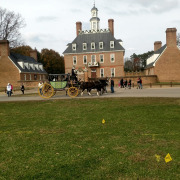 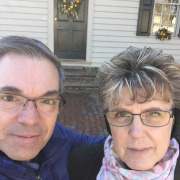 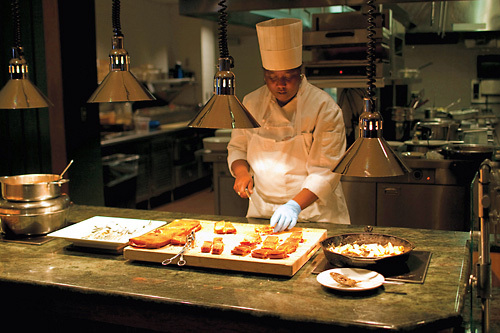 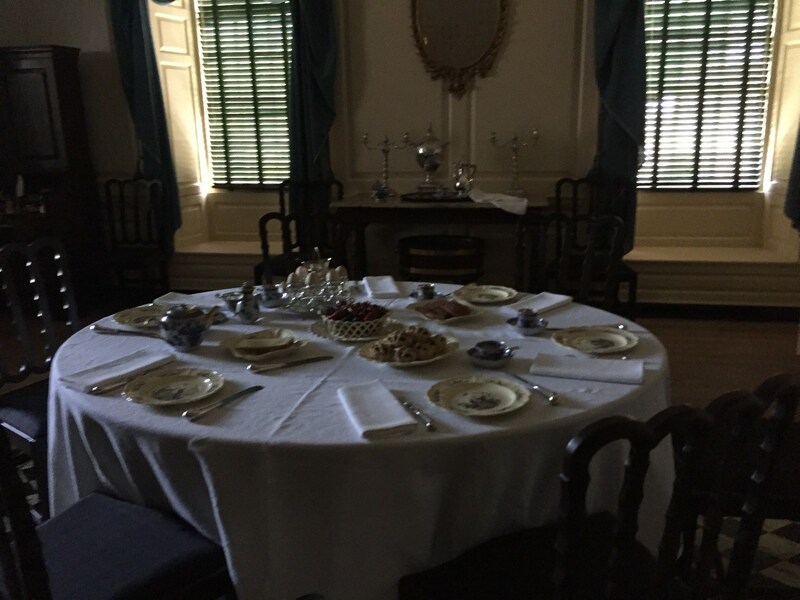 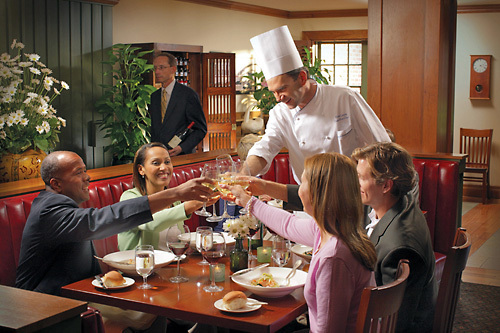 Are there places to eat at Colonial Williamsburg? 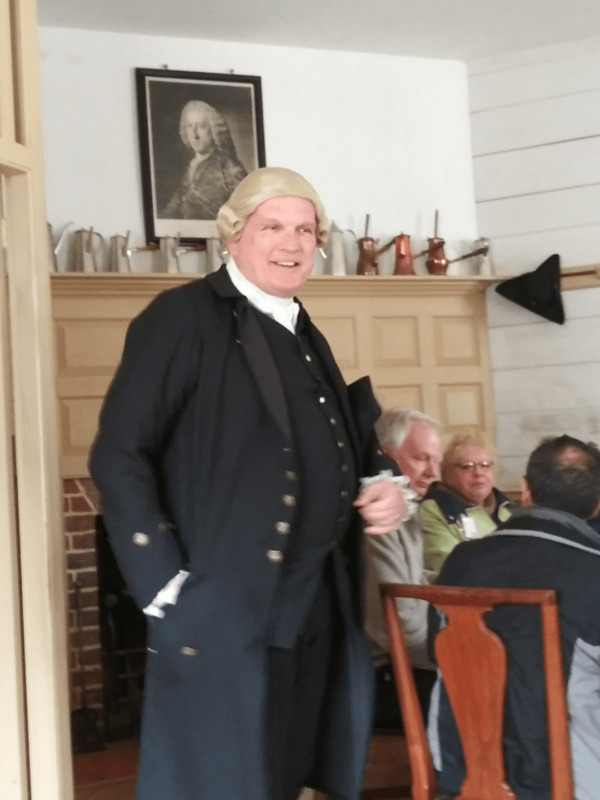 From historic taverns to modern sandwich shops and bistros, the Revolutionary City, Colonial Williamsburg Resort, and Merchants Square have plenty of choices to please all tastes. 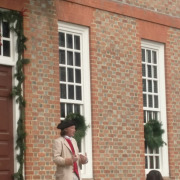 Restrooms are available, and cool drinks can be purchased throughout town. 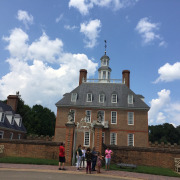 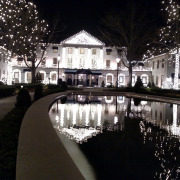 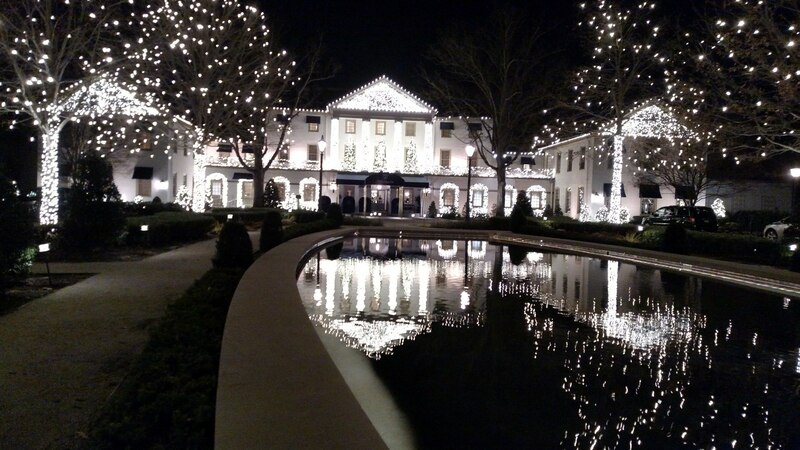 The Colonial Williamsburg Resort and the Revolutionary City are complemented by convenient and unique shopping options. 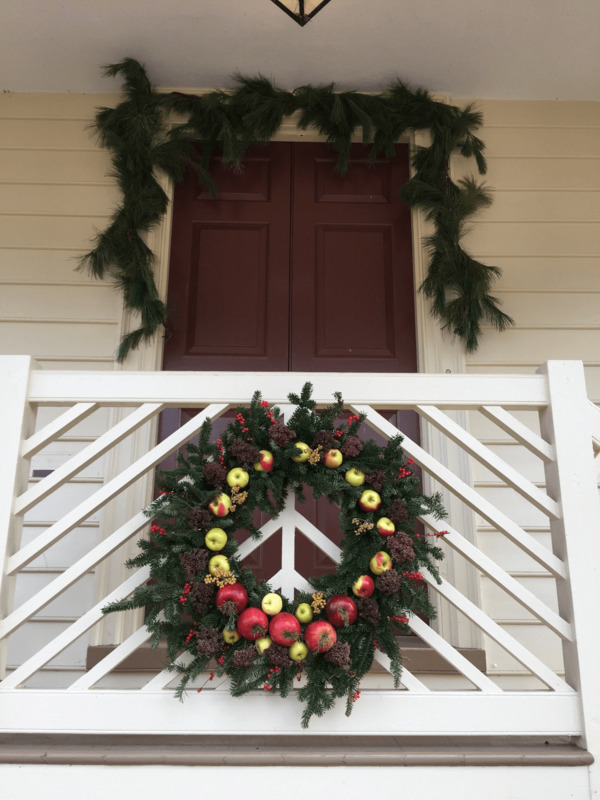 From luxe home accessories to authentic reproduction 18th-century flatware and furniture—you’ll find the perfect gift, souvenir, or accent for your home. 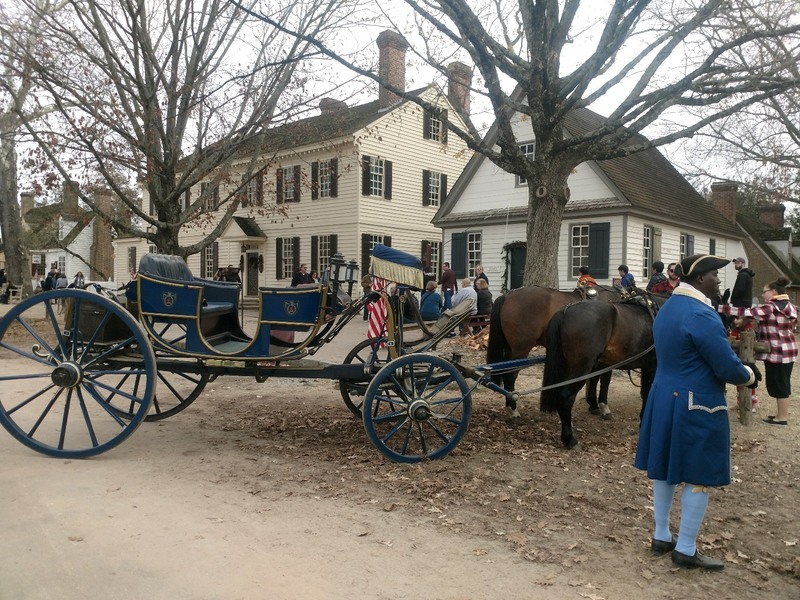 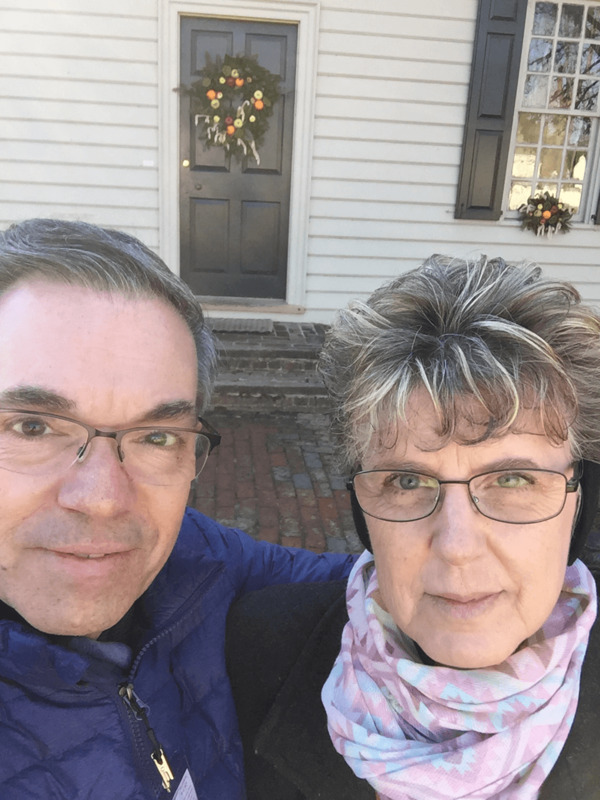 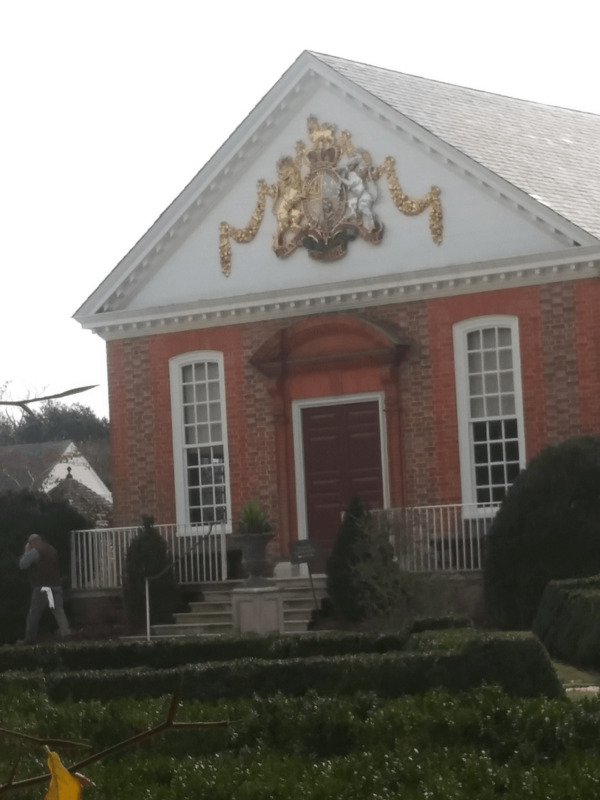 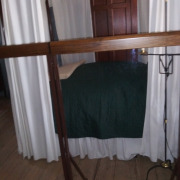 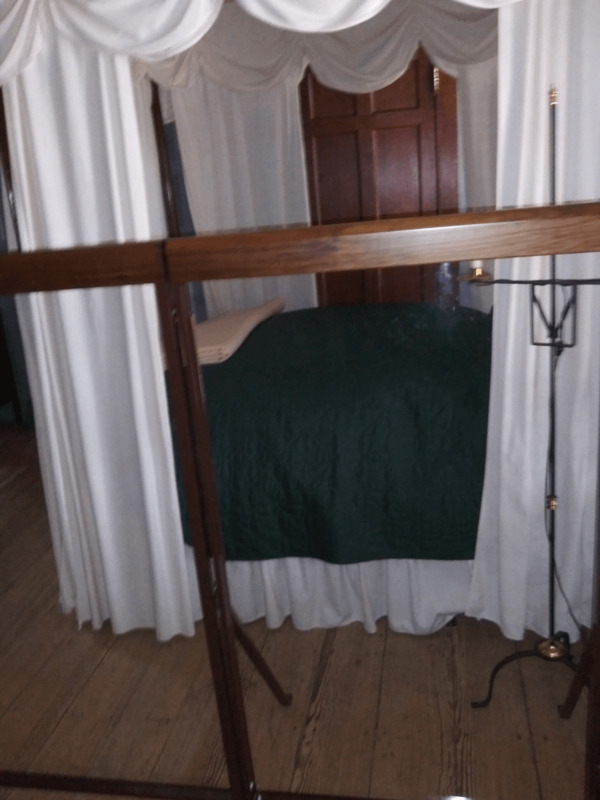 Is Colonial Williamsburg handicap accessible?